Barty with Alicia Molik at Fed Cup practice. 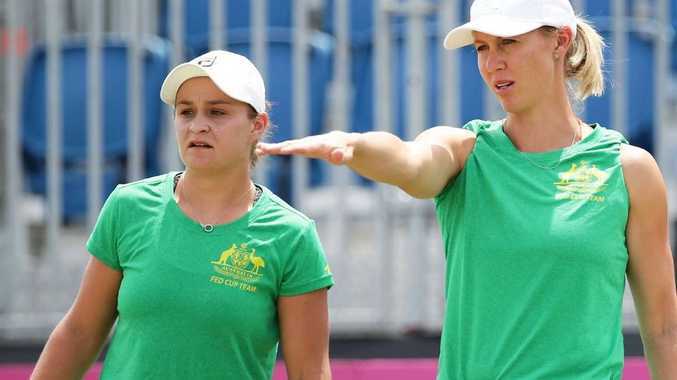 ASH Barty's determination to end Australia's 45-year wait for another Fed Cup title has been underlined by a change of plans to practise in Brisbane earlier than planned. Injury did not influence Barty's withdrawal from this week's Charleston tournament and the upshot will be that she could hit the practice courts in Queensland while the top-ranked Belarus player, Aryna Sabalenka, is still involved in the United States event. The Australians officially were to start practice at Pat Rafter Arena no later than April 16, but some players will be on court well before then. Winning the April 20-21 semi-final against Belarus would put the Australians into their first Fed Cup final since 1993. Barty's withdrawal from Charleston also means she will go straight to practise on hardcourts at home without having to adjust first to the tournament's claycourt surface. Australia's world No. 9 was concerned about how the Charleston event would impact on her after six high-pressure matches played on the way to a Miami title on Sunday which capped her rise into the top 10. Sabalenka had been ranked No. 9, but drops a place due to Barty's Miami win. The Belarus right-hander beat Barty at the 2018 Australian Open but lost their two subsequent encounters, both on hardcourts in China. Barty relishes the chance to play a home Fed Cup tie, 14 months after one in Canberra. "Those opportunities don't come around often,'' Barty said on Sunday. "For me, Fed Cups are the most special weeks of the year. A fortnight like this (in winning in Miami) is truly amazing, but Fed Cup has a different feel about it. 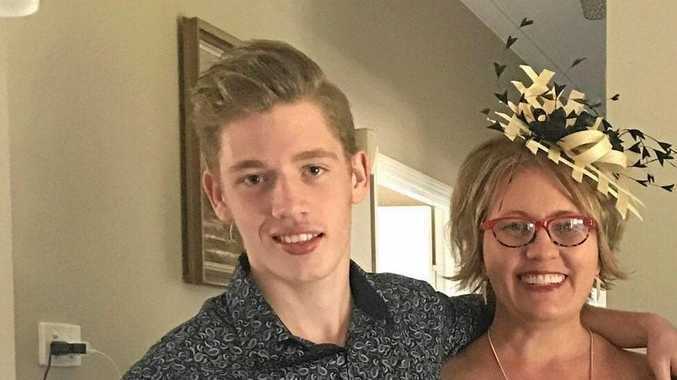 "I think the way that Alicia (Molik), our captain, has been able to create a culture of a desire and need to play for your country has been amazing. The semi-final captains must name five-woman squads by Wednesday week, with cross-nation doubles involvement raising an unusual dynamic. Dual Australian Open champion Victoria Azarenka and Barty were beaten in the doubles semi-final in Miami. "I'm sure it won't be long before Vika is back to her very best once again,'' Barty said of Azarenka, the third-ranked Belarus singles player at No. 46. "Vika and I, we instantly jelled together in the doubles. We have only played the two tournaments together, but I think we've had success instantly. "She's obviously a player who loves the pressure situation. The tighter it gets, the better she gets."